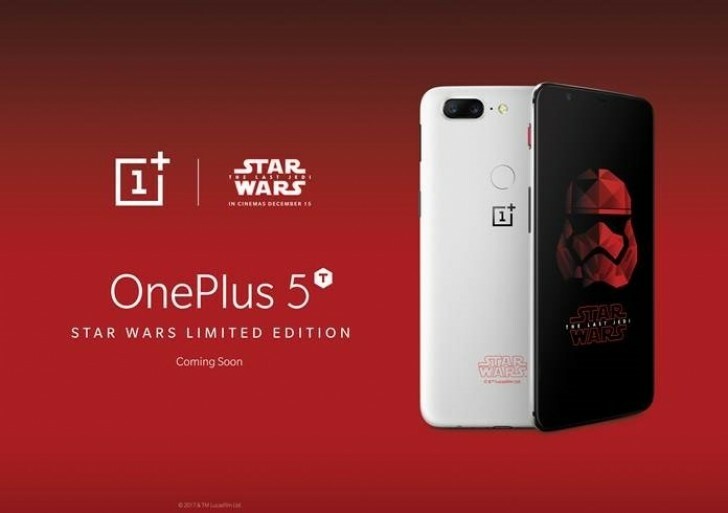 OnePlus unveiled a Star Wars Limited Edition of the OnePlus 5T during Comic Con India. The phone is expected to launch some time this month and tie-in with the upcoming Star Wars: The Last Jedi slated to release on December 15. We also expect the phone to be exclusive to India. The Star Wars Limited Edition comes in a new color scheme, with an all white back with red Star Wars logo at the bottom. The front of the phone is black, as are the buttons on the side. The alert slider, however, is finished in bright red. More details will be provided next week. Even tho i'm a huge fan of star wars i wouldn't like a phone like that. I like simple things i life. Me owning the oneplus 5T midnight black, i find it to be the best colour option ever. since i love black smartphones. I want it but I'm not buying a phone without Project Treble.